It’s been a gruelling ten days for Brexit, with the UK proposing its version of the Irish backstop and the chaos in Westminster. Some see Theresa May’s efforts to reconcile the two wings of her party as a necessary crucible. If she can just hang on and bring both sides with her, the logic goes, then there will be a pragmatic denouement by October. The view from Brussels and Dublin is that Westminster is quite simply a parallel universe. If anything the past ten days have made things a lot worse. One senior EU official has privately confided that we could be heading for a "cataclysmic" outcome. In a nutshell, Dublin is angry that two years after the referendum, 15 months after Article 50 was triggered, six months since December’s Joint Report, three months since Theresa May promised the European Council President Donald Tusk that she was committed to a legally operable backstop, and with only three-and-a-half months before the October deadline, London has tossed a half-baked solution on the table. "The view in Dublin," says one source, "is that London is saying, ‘well, we’ll put something on the table. That’s enough for now’." The European Commission Task Force is also dismayed that Britain is engaged in what it regards as a disingenuous attempt to twist the backstop into a UK-wide solution. Likewise, member states are deeply concerned that the UK manoeuvre - staying in the customs union and single market for goods for a temporary period - is a devious bid for an "end state", one which raises enormously troubling and complex questions. Most of all, the depths which Theresa May has had to plumb just to survive week to week is not seen as a sign of endurance. Rather, it will render the prospect of a legally operable backstop, one which satisfies Ireland’s needs, more remote than ever. "I don’t see how the UK could make such a quantum leap given the political dynamics that there are in play in the coming weeks," says one EU figure close to the negotiations. Next week will be the last week of negotiations before the June European Council. No-one is expecting any major move on the Irish backstop, or, indeed, on the other outstanding issues in the negotiations, most notably the so-called "governance" issues, i.e. how will relations between the EU and UK be adjudicated beyond Brexit and what role will there be for the European Court of Justice (ECJ). The lack of progress puts the Government under greater pressure over whether the deal in December was overplayed, and, if so, what leverage Ireland has to force Britain into line. So how have we arrived at this situation? The EU published its draft legal text on the backstop at the end of February. A binding protocol in the Withdrawal Agreement would foresee Northern Ireland remaining part of the EU customs territory and aligned with EU single market rules on goods, as well as other parts essential for North South cooperation. It was immediately rejected by the British government. With the desperately needed two-year transition therefore at risk, Theresa May wrote to Donald Tusk in March reassuring him that London agreed with the need for a backstop. "I want to reinforce my commitment to the Joint Report in its entirety," she wrote, "including reaffirming the UK government’s view that the Belfast or Good Friday Agreement of 1998 must be protected in all its parts." But by the March European Council there was no sign of an alternative text. 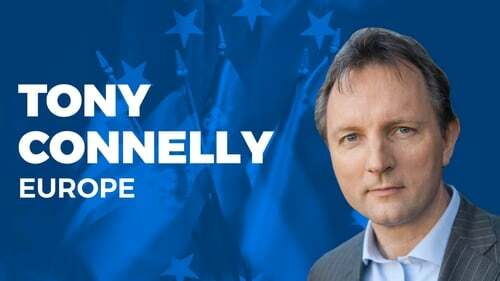 I understand that some figures in Dublin toyed with the idea of tabling a proposal via the European Council that the Brexit negotiations be suspended until the British came forward with a credible text. That idea was dropped. The European Council - i.e, the leaders of the 27 member states - prefers not to use deadlines or vetos (a missed deadline weakens the council’s authority), opting instead to use the pressure of a ticking clock to hold the UK to its commitments. Irish officials did push hard for strong language in the conclusions of the March Council. The UK had just been granted a two-year transition period, and the EU’s negotiating guidelines were altered accordingly. Dublin was worried that London was sailing away from the demands of the Joint Report. In language largely authored by Irish officials, EU leaders warned in the council conclusions that they would "continue to follow the negotiations closely, in all their aspects, and will return in particular to the remaining withdrawal issues [i.e., the Irish border] and to the framework for the future relationship at its June meeting". The Government then took domestic flak over whether June was a hard deadline and, if not, was it giving the UK too soft a ride? "We've never said we need it signed, sealed and delivered [by June]," says one senior Irish source. "We've taken the view that, if the thing has to be signed, sealed and delivered by October, then by the June [European] Council you'd have to have a pretty clear line of sight on the nature of the deal, whatever about the fine detail about the legal text." By late May London had changed tack. With the DUP holding an implicit veto on Theresa May's survival if the backstop meant Northern Ireland being treated any differently than the rest of the UK, British negotiators sought to interpret the language of Paragraph 49 in the Joint Report as meaning that the UK as a whole would align with the customs union, and not just Northern Ireland. That way there would be no hard border on the island, nor along the Irish Sea. London had been signaling such a move as far back as January. While the Irish Government disagreed with the UK version of what went on in the negotiations back in December (and that dispute will linger), there was an acknowledgement by officials that such an interpretation would at least help east-west trade between Ireland and the UK. The EU Task Force took a harsher line. Senior EU officials insisted that Paragraph 49 was only ever intended to mean that Northern Ireland on its own would align with the customs union and single market (I’ve covered this issue here). Ahead of the UK finally tabling its alternative text on 7 June, there were intense contacts between Dublin and London. The idea of a UK-wide backstop being the solution had been well leaked in advance. Theresa May seemed to have cleared it with her Brexit cabinet sub-committee. Dublin was anxious to ensure that any attempt by eurosceptic hardliners to insert a time limit would be resisted. Both the Government and the European Commission are of a view that a backstop can only be replaced according to how effective the replacement is at complying with the promise of no infrastructure, checks or controls. It cannot expire simply due to a time frame. To say that Irish officials were given a promise there would be no time limit would be going too far, but they had made it clear it would not be acceptable, and were given a signal that London clearly understood this. But the drama over the Brexit secretary David Davis, and his threat to resign if there was no time limit, meant that Irish concerns were disregarded. The text said it was "expected" that the backstop would expire at the end of 2021. In a letter to MPs, Theresa May described the backstop as "hypothetical", "unpalatable" and "at worst temporary". Dublin was disappointed, to say the least. "We would have preferred if there wasn’t a time limit," says one senior official, "and the signal was given that that problem was understood and recognised. Then at the last minute we end up with this fudge. In that sense, the thing was going backwards." The UK paper also glaringly omitted the issue of if and how Northern Ireland would remain aligned to the rules of the single market for goods, essential for avoiding border infrastructure. The British paper rather casually said this would have to be "discussed". There was no mention of how VAT or excise would be handled. In Brussels, officials were initially cautious, mindful of the toxic atmosphere and the pressure Mrs May was under. Michel Barnier welcomed the publication via Twitter, but posed three questions: was it a workable solution to avoid a hard border? Did it respect the integrity of the single market and customs union? Was it an all-weather backstop? On a positive note, according to some officials, at least London was now engaging with the logic of the Irish protocol. The EU could finally get down to business. Other officials acknowledged the extent of London’s opposition to anything that would give rise to a border along the Irish Sea. This was an issue, according to one source, that would have to be addressed. But any warm feelings towards the British paper, entitled Technical Note: Temporary Customs Arrangement, quickly evaporated. The morning after the proposal was tabled, Michel Barnier told a news conference that it had essentially failed to meet the three criteria he had tweeted the day before. The proposal ignored the issue of Northern Ireland remaining aligned on standards and regulations, in particular for food safety and animal health. Furthermore, the idea of a UK-wide backstop was dismissed out of hand. "Let me be clear," Mr Barnier said. "Our backstop cannot be extended to the whole UK. Why? Because it has been designed for the specific situation of Northern Ireland." After the news conference, EU Task Force official Stéfanie Riso briefed the so-called Working Party, the group that comprises officials from the 27 remaining EU member states. According to two sources briefed on that meeting, the British proposal was met with thinly disguised hostility. Officials had one overriding concern: was this a Trojan Horse to spirit the UK into the future relationship, against the scheduling laid down by Article 50? "Clearly some member states were seeing this not only as a flawed attempt to solve the Irish border issue," says one senior source, "but also to sell basically a kind of endgame for the negotiations." The more they looked at it, the more nervous they became. Was this also turning out to be a bid for second transition? "So this would mean two sets of rule changes, which is very bad for all our companies," says the source, "because they don’t want to go through uncertainty twice. They want to have only one hassle, and one change of rules." More fundamentally, the UK-wide backstop would split the four freedoms. The European Commission’s preference for the Irish backstop is for goods, not for services, because services generally don’t require a border check. And if the UK was accessing the single market for goods, but not for services, then it would – in theory – allow the UK to sidestep the free movement of people. That’s because the single market for services has to permit people to work across borders to deliver those services. In other words, it looked like that by applying the backstop to the whole of the UK, the EU would have to split the four freedoms (goods, persons, capital and services), when it regards them as indivisible. Specifically, officials fear the UK could lure companies from India, Australia, Canada and so on to access the single market for goods even if they are really interested in providing services. This is because in a modern economy, goods and services are often intertwined: a new car is a good, but it will often come with a service, such as financing. The concern is that a huge economy like the UK’s, sitting on the edge of the EU, but not fully bound by the rules and obligations of the single market, could significantly undercut the EU economy. Ironically enough, countries such as Denmark, the Netherlands and others which have traditionally been in tune with UK’s commitment to the liberal, free-market economy, are exactly the ones that have expressed the most hostility to Britain undermining a "level-playing field," a key demand in the EU’s negotiating guidelines. All told, member states in the working party regarded the UK proposal as, according to two sources, "dead in the water". Where does this leave the Irish Government? The view in both Dublin and Brussels is that the UK was happy to bank the transition in March, but not so willing to abide by the Joint Report and the letter to Donald Tusk. The slack Dublin has been giving Theresa May over her domestic travails is starting to run out. "It’s not a serious engagement," says one senior figure close to the negotiations. "We all know why she’s struggling to do it. But that’s neither here nor there. They can’t on the one hand say, we’ve got to get all this done within a few weeks, but would you please bear with us as we try to figure out our own internal politics." So what options are open? "Is it one giant finger wag?" asks one Government source. "Or a more serious situation?" A threat to suspend negotiations is seen as counterproductive for the simple reason that the EU is trying to get sufficient progress, and progress would probably grind to a halt if a veto was wielded. The more likely option is to put the transition back in the spotlight. "The British put so much effort into securing the impression that the transition was agreed in March," says the source, "that if that starts to look suspect now, that has to cause them difficulty". "If the [European] Council says in brutal terms, this just isn’t good enough, we’re three or four months away from the end point, and you guys keep banging on about how much progress has to be made, and you can’t even table your version of a text which covers all the issues, which, by your own admission in your letter to [President] Tusk have to be addressed." Another senior figure agrees that the EU will have to remind the Conservative government that if a credible backstop is not agreed, then all bets are off. "The strongest option we have is that we will not conclude a Withdrawal Agreement without a solution for Ireland. And quite honestly if there is no Withdrawal Agreement, this is a cataclysm for the UK. It will be very bad for us as well, but a cataclysm for the UK." There is a circular feeling to the current impasse. One needs only to recall the run up to the December European Council, and the threats of "no transition," "no Phase II" and "no deal". But the dynamics are, across the board, so much more toxic today. Firstly, once the Withdrawal Bill finally becomes law in July – notwithstanding the chaos over the "meaningful vote" amendment currently gripping the House of Commons – then Theresa May’s room for manoeuvre becomes more limited. One senior official in Brussels privately wonders if, as we hurtle towards an October crisis, might Theresa May seek a last-minute extension of Article 50? (Leo Varadkar has also speculated about such an option, although he has been the only EU leader to do so). Such a request would require an Act of Parliament that eurosceptics inside and outside her cabinet, who, with the whiff of 29 March 2019 in their nostrils, would simply not permit. Secondly, to stave off another eurosceptic revolt, Theresa May will demand that the political declaration that accompanies the Withdrawal Agreement in October is filled with attractive detail about the future trade relationship. If not, and David Davis himself has alluded to this, Britain could threaten to withhold the €39 billion exit bill. So, rather than seeing the efforts of pro-EU Tories pushing Theresa May towards a softer Brexit, many in Brussels and Dublin fear they have done the exact opposite. In any case, few observers see how the bloodcurdling divisions within the Tory Party – and, to a lesser extent Labour – could ever deliver a satisfactory outcome on Ireland. The White Paper on customs, which has now been pushed back to July pending yet another Chequers away day for her Brexit cabinet sub-committee, is a case in point. "The biggest obstacle now," says a Government source, "is the inability of the British to agree on anything amongst themselves – that’s before you even try to imagine what the preparation of that [White Paper] looks like. You just have to wonder, are they actually going to be able to deliver?" In the event, Dublin fears the White Paper will end up as a cut-and-paste version of last summer’s papers on Ireland and a future customs partnership and Theresa May’s Mansion House speech, all of which have left the EU non-plussed. "Again that might be an interesting domestic exercise, but it’s unlikely to take them very far in terms of an agreement with the EU27." The more cynical observers suspect that Theresa May is ultimately using the domestic turmoil as cover to delay and prevaricate on the backstop until the last minute, hoping that Ireland will come under pressure in October from other member states. Irish sources say they have been informed via European capitals that British officials have been briefing against Ireland, hoping to diminish support for Ireland’s case. "It was felt for some time that if they could just get through June," says an Irish source, "and then use the time pressure of October, which would, in their view, result in pressure coming on Ireland from other member states. "We’re not naive about it, but I do think they’re misreading that." In Madrid this week, after his meeting with the new Spanish prime minister Pedro Sanchez, the Taoiseach warned: "Putting this off doesn’t make it any easier for the United Kingdom. The European Union is fully united, [with] 27 member states standing together with a common position." Indeed, the summit in October will not be Theresa May versus 27 other leaders. The Article 50 formation means Mrs May will not be in the room, and the deal will have to have been cooked beforehand. "People are trying to conjure up this traditional image of a great big late-night, last-minute negotiation," says one source, "where everyone is sweating and it’s the battle of the fittest and it goes to the small hours with side deals here and there. That doesn’t work for this. This will follow a more bureaucratic process where the task force is the at front end, and the thing is either done or it isn’t." Yet, the EU cannot simply sit serenely at the table, with its stronger set of cards, waiting for London to come to its senses. A breakdown in October is not in the EU’s interests. "Britain has a huge, huge responsibility if there’s no deal," says another EU source. "They have made political commitments, and it will haunt them until the last day of the negotiations. I can’t imagine a scenario where we would not find a solution. But it will take time for them to come to a landing zone – one which I do not see." Will the EU bend on its insistence on the indivisibility of the four freedoms? Sir Ivan Rogers was the UK ambassador to the EU under David Cameron. Widely respected in Europe, he resigned after hostile briefing from Downing Street after Theresa May took over, and has since become a truth-to-power voice in the wilderness, delivering occasional, but hard-hitting speeches on what he sees as the need for Britain to get real about what the EU is prepared to offer. In a widely read speech in Glasgow he speculated that Brexit may come down to a fundamental tug-of-war over free movement: "If the option now exists of the UK aligning itself more permanently regulatorily on goods, and staying in both a customs union and having quasi single market membership, paying something for it, living under ECJ jurisprudence and jurisdiction in goods, but disapplying the fourth fundamental freedom, free movement of people, the EU faces the decision as to whether this is an unacceptable option sundering indivisible freedoms and offering something too close to membership advantages to a non member. Or whether it’s rather a good deal for the EU with a major strategic partner." The EU is not yet ready to contemplate such a concession. If anything, the mood has hardened after the British backstop proposal. Paraphrasing the famous line from Tomaso di Lampedusa’s classic novel The Leopard, about a 19th century aristocratic family in Sicily coming to terms with the reunification of Italy, a senior EU official said in a recent briefing to journalists: "We need the UK to accept the consequences of its decisions. I have the impression that for the UK, everything has to change on the EU side, so that everything stays the same for the UK." Meanwhile, London is still elevating a Northern Ireland-only backstop, as envisaged in the Joint Report and the first draft of the Withdrawal Agreement, to a fundamental constitutional threat because it would require checks along the Irish Sea on goods standards and customs. When pressed, Michel Barnier has pointed out that it would be easier to carry out checks on lorries, stuck on a ferry from Great Britain to Northern Ireland, than to impose checks on a 500km border with more than 200 crossing points. All told, the commission insists that its version of the backstop is the only one that will permit all sides to abide by their solemn promise not to have any infrastructure, controls or checks along the Irish border, and to preserve north-south cooperation, the all-island economy and the Good Friday Agreement. "There is a big risk that this will spoil everything at the end," says one senior official. "We must not underestimate that. The Brits are now so dug in on the fact that they cannot do anything specifically for Northern Ireland." According to the laws of gravity, something will surely have to give. "To me," says a senior EU figure, "there will have to be a crisis in the UK, or a crisis between the UK and the EU." Another official added: "The essential question is, will Ireland be thrown under a bus? I don’t believe so."